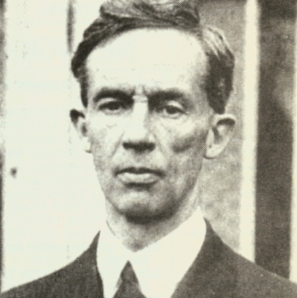 Erskine Childers (1870-1922) was a novelist and Irish nationalist. Born in London, he began writing military histories after serving in the Boer War, an experience that left him disillusioned with the cause of the British Empire. In 1903 he wrote The Riddle of the Sands, a pioneering spy novel that has never gone out of print. In 1914 he used his yacht to run German guns to Irish nationalists, whose cause he joined wholeheartedly at the start of the war for independence from Britain. In 1922 he was arrested and executed for carrying a pistol. His last request to his son was that he forgive the men who had betrayed him, asking the teenage boy to seek out every man who had signed his death warrant and shake their hands.